In a comment on the last post, Mike wrote, “perhaps the pneumaticity was intially a size-related feature that merely failed to get unevolved when rebbachisaurs became smaller”. Caudal pneumaticity in saltasaurines. Cerda et al. (2012: fig. 1). Or maybe pneumaticity got even more extreme as rebbachisaurids got smaller, which apparently happened with saltasaurines (see Cerda et al. 2012 and this post). I think there is probably no scale at which pneumaticity isn’t useful. Like, we see a saltasaurine the size of a big horse and think, “Why does it need to be so pneumatic?”, as if it isn’t still one or two orders of magnitude more massive than an ostrich or an eagle, both of which are hyperpneumatic even though only one of them flies. Even parakeets and hummingbirds have postcranial pneumaticity. 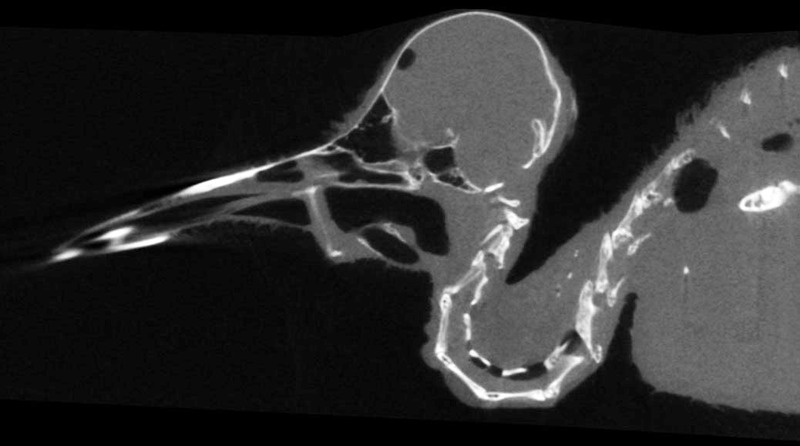 Micro CT of a female Anna’s hummingbird. The black tube in the middle of the neck is the supramedullary airway. Little black dots in the tiny cervical centra are air spaces. Another thought: we tend to think of saltsaurines as being crazy pneumatic because they pneumatized their limb girdles and caudal chevrons (see Zurriaguz et al. 2017). Those pneumatic foramina are pretty subtle – maybe their apparent absence in other sauropod clades is just because we haven’t looked hard enough. Lots of things have turned out to be pneumatic that weren’t at first glance – see Yates et al. 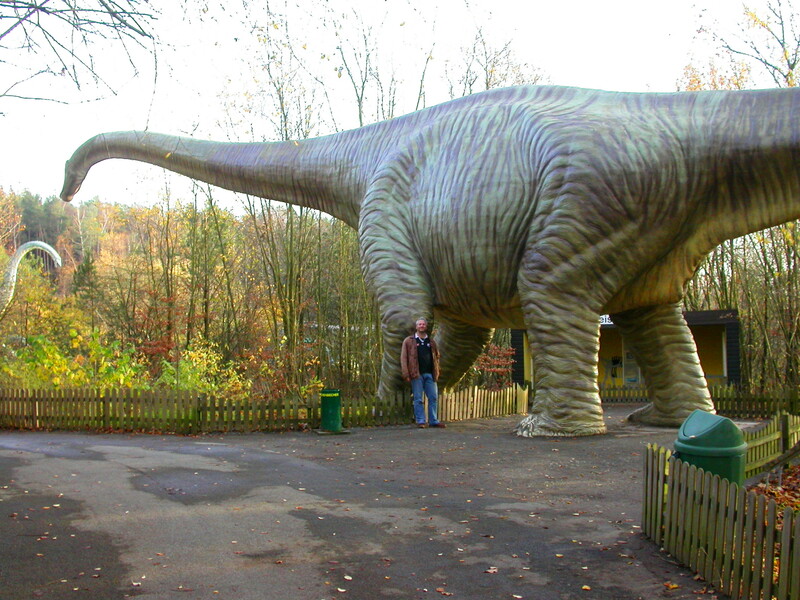 (2012) on basal sauropodomorphs and Wedel and Taylor (2013b) on sauropod tails, for example. 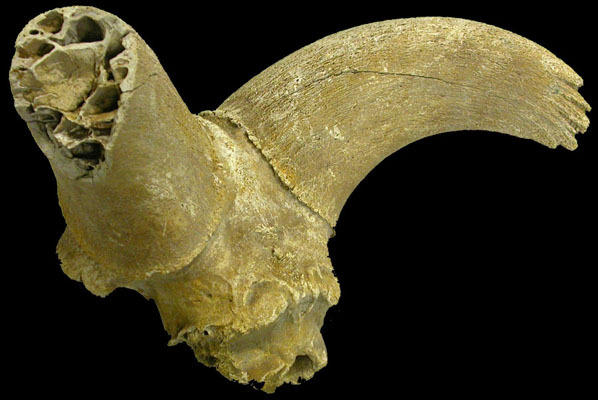 Back of the skull of a bighorn sheep, showing the air spaces inside one of the broken horncores. As I flagged in the title, this is noodling, not a finding, certainly not certainty. Just an airhead thinking about air. The comment thread is open, come join me. Sander, P., Hall, J., Soler, J., Wedel, M., and Chiappe, L. 2014. A pneumatic cavity in an Alamosaurus pubis: the first evidence of pubic pneumaticity in sauropodomorphs and the implications of pelvic pneumaticity in neosauropods. Journal of Vertebrate Paleontology 34, Supplement to Issue 3: 220A. Zurriaguz, V., Martinelli, A., Rougier, G.W. and Ezcurra, M.D., 2017. A saltasaurine titanosaur (Sauropoda: Titanosauriformes) from the Angostura Colorada Formation (upper Campanian, Cretaceous) of northwestern Patagonia, Argentina. Cretaceous Research, 75, pp.101-114. What if Amphicoelias fragillimus was a rebbachisaurid? 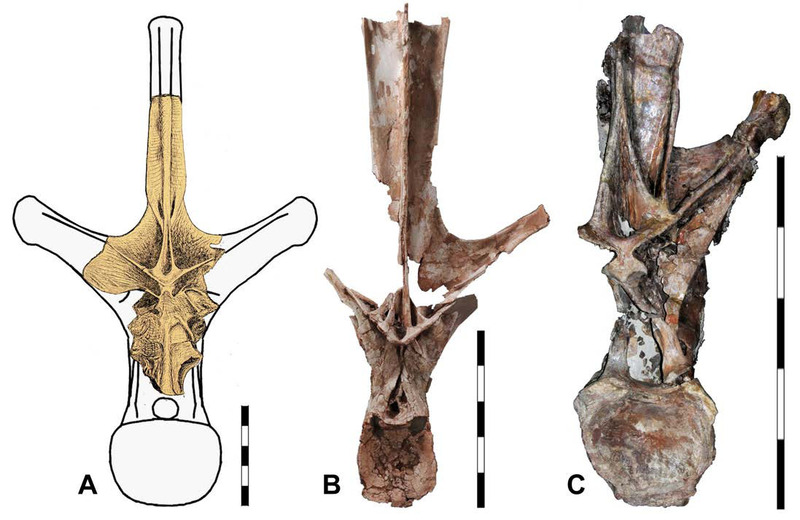 An important paper is out today: Carpenter (2018) names Maraapunisaurus, a new genus to contain the species “Amphicoelias“ fragillimus, on the basis that it’s actually a rebbachisaurid rather than being closely related to the type species Amphicoelias altus. Carpenter 2018: Figure 5. 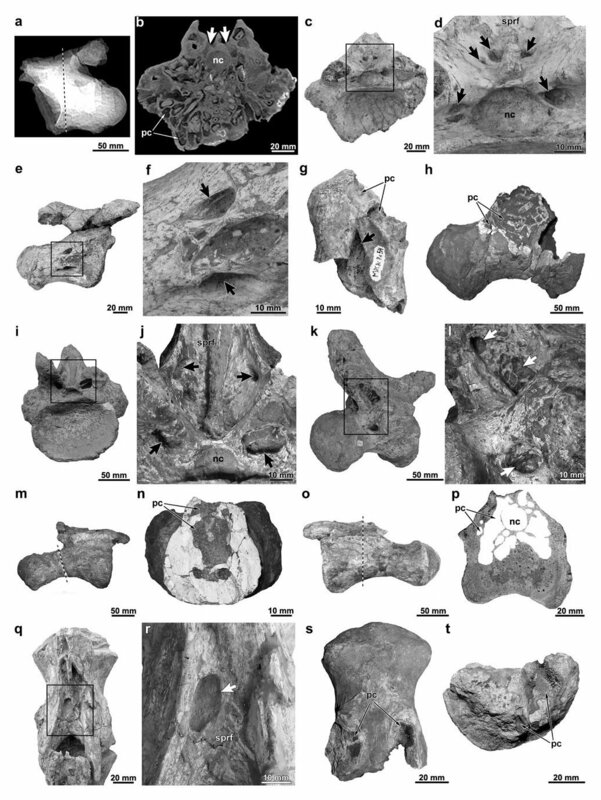 Comparison of the neural spine of Maraapunisaurus fragillimus restored as a rebbachisaurid (A), and the dorsal vertebrae of Rebbachisaurus garasbae (B), and Histriasaurus boscarollii (C). Increments on scale bars = 10 cm. And it’s a compelling idea, as the illustration above shows. The specimen (AMNH FR 5777) has the distinctive dorsolaterally inclined lateral processes of a rebbachisaur, as implied by the inclined laminae meeting at the base of the SPOLs, and famously has the very excavated and highly laminar structure found in rebbachisaurs — hence the species name fragillimus. Ken’s paper gives us more historical detail than we’ve ever had before on this enigmatic and controversial specimen, including extensive background to the excavations. 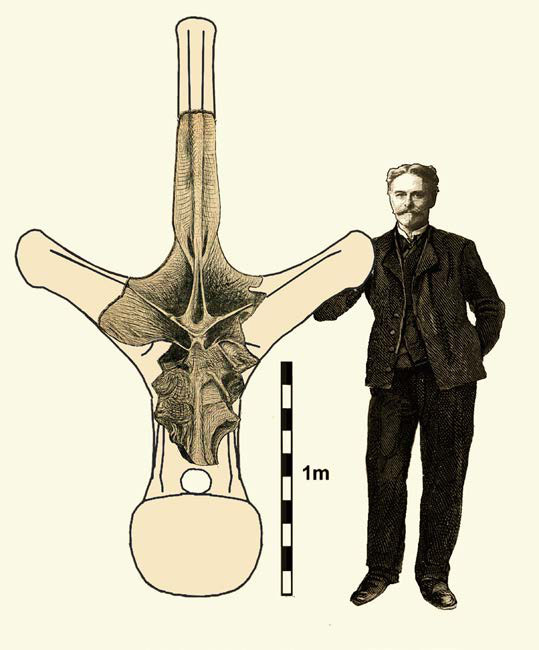 The basics of that history will be familiar to long-time readers, but in a nutshell, E. D. Cope excavated the partial neural arch of single stupendous dorsal vertebra, very briefly described it and illustrated it (Cope 1878), and then … somehow lost it. No-one knows how or where it went missing, though Carpenter offers some informed speculation. Most likely, given the primitive stabilisation methods of the day, it simply crumbled to dust on the journey east. Carpenter 2018: Frontispiece. E. D. Cope, the discoverer of AMNH FR 5777, drawn to scale with the specimen itself. Cope himself referred the vertebra to his own existing sauropod genus Amphicoelias — basically because that was the only diplodocoid he’d named — and there it has stayed, more or less unchallenged ever since. Because everyone knows Amphicoelias (based on the type species A. altus) is sort of like Diplodocus(*), everyone who’s tried to reconstruct the size of the AMNH FR 5777 animal has done so by analogy with Diplodocus — including Carpenter himself in 2006, Woodruff and Foster (2014) and of course my own blog-post (Taylor 2010). (*) Actually, it’s not; but that’s been conventional wisdom. Ken argues, convincingly to my mind, that Woodruff and Foster (2014) were mistaken in attributing the great size of the specimen to a typo in Cope’s description, and that it really was as big as described. And he argues for a rebbachisaurid identity based on the fragility of the construction, the lamination of the neural spine, the extensive pneumaticity, the sheetlike SDL, the height of the postzygapophyses above the centrum, the dorsolateral orientation of the transverse processes, and other features of the laminae. Again, I find this persuasive (and said so in my peer-review of the manuscript). Carpenter 2018: Figure 3. Drawing made by E.D. Cope of the holotype of Maraapunisaurus fragillimus (Cope, 1878f) with parts labeled. “Pneumatic chambers*” indicate the pneumatic cavities dorsolateral of the neural canal, a feature also seen in several rebbachisaurids. Terminology from Wilson (1999, 2011) and Wilson and others (2011). If AMNH FR 5777 is indeed a rebbachisaur, then it can’t be a species of Amphicoelias, whose type species is not part of that clade. Accordingly, Ken gives it a new generic name in this paper, Maraapunisaurus, meaning “huge reptile” based on Maraapuni, the Southern Ute for “huge” — a name arrived at in consultation with the Southern Ute Cultural Department, Ignacio, Colorado. On one level, not very: Amphicoelias is generally thought to be a basal diplodocoid, and Rebbachisauridae was the first major clade to diverge within Diplodocoidae. In fact, if Maraapunisaurus is basal within Rebbachisauridae, it may be only a few nodes away from where everyone previously assumed it sat. On the other hand, a Morrison Formation rebbachisaurid would be a big deal for two reasons. First, because it would be the only known North American rebbachisaur — all the others we know are from South America, Africa and Europe. And second, because it would be, by some ten million years, the oldest known rebbachisaur — irritatingly, knocking out my own baby Xenoposeidon (Taylor 2018), but that can’t be helped. Finally, what would this new identity mean for AMNH FR 5777’s size? Carpenter 2018: Figure 7. Body comparisons of Maraapunisaurus as a 30.3-m-long rebbachisaurid (green) compared with previous version as a 58-m-long diplodocid (black). Lines within the silhouettes approximate the distal end of the diapophyses (i.e., top of the ribcage). Rebbachisaurid version based on Limaysaurus by Paul (2016), with outline of dorsal based on Rebbachisaurus; diplodocid version modified from Carpenter (2006). Because dorsal vertebrae in rebbachisaurids are proportionally taller than in diplodocids, the length reconstructed from a given dorsal height is much less for rebbachisaurs: so much so that Ken brings in the new version, based on the well-represented rebbachisaur Limaysaurus tessonei, at a mere 30.3 m, only a little over half of the 58 m he previously calculated for a diplodocine version. That’s disappointing for those of us who like our sauropods stupidly huge. But the good news is, it makes virtually no difference to the height of the animal, which remains prodigious — 8 m at the hips, twice the height of a giraffe’s raised head. So not wholly contemptible. Carpenter, Kenneth. 2006. Biggest of the big: a critical re-evaluation of the mega-sauropod Amphicoelias fragillimus Cope, 1878. pp. 131-137 in J. Foster and S. G. Lucas (eds. ), Paleontology and Geology of the Upper Jurassic Morrison Formation. New Mexico Museum of Natural History and Science Bulletin 36. Carpenter, Kenneth. 2018. Maraapunisaurus fragillimus, n.g. (formerly Amphicoelias fragillimus), a basal rebbachisaurid from the Morrison Formation (Upper Jurassic) of Colorado. Geology of the Intermountain West 5:227–244. Cope, Edward D. 1878. A new species of Amphicoelias. American Naturalist 12:563–565. Paul, Gregory S. 2016. The Princeton field guide to dinosaurs. Princeton, Princeton University Press. 360 pages. A bunch of stuff, loosely organized by theme. First up, I need to thank Brian Switek, who invited me to comment on Patagotitan for his piece at Smithsonian. I think he did a great job on that, arguably the best of any of the first-day major media outlet pieces. And it didn’t go unnoticed – his article was referenced at both the Washington Post and NPR (and possibly other outlets, those are the two I know of right now). I don’t think my quotes got around because they’re particularly eloquent, BTW, but rather because reporters tend to like point-counterpoint, and I was apparently the most visible counterpoint. They probably would have done the same if I’d been talking complete nonsense (which, to be fair, some people may think I was). 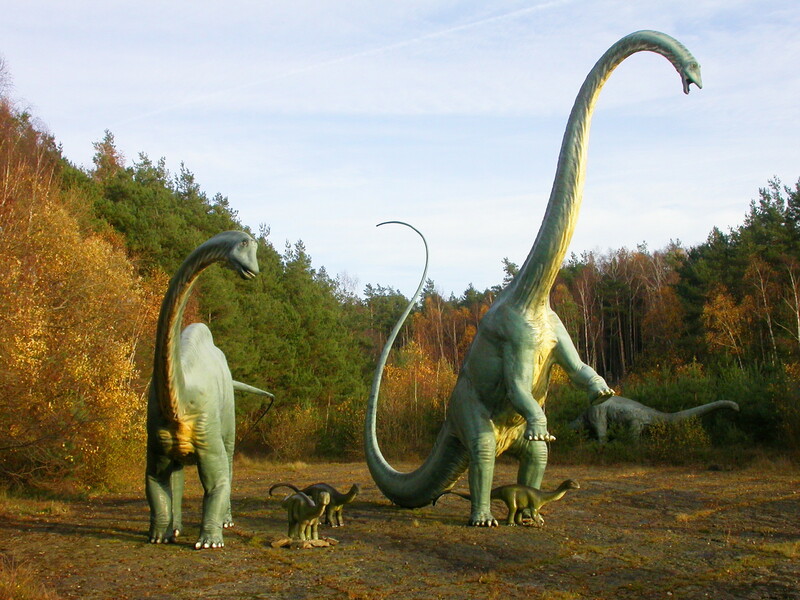 I think it would be more accurate to say that Argentinosaurus, Puertasaurus and Patagotitan are so similar in size that it is impossible for now to say which one was the largest. That may seem at odds with the, “Well, actually…[pushes glasses up nose]…Argentinosaurus was still biggest” tack I’ve taken both in my post yesterday and on Facebook. So let me elaborate a little. There is a minor, boring point, which is that when I gave Brian that quote, I’d seen the Patagotitan paper, but not the Electronic Supplementary Materials (ESM), so I knew that Patagotitan was about the same size as the other two (and had known for a while), but I hadn’t had a chance to actually run the numbers. The much more interesting point is that the size differences between Argentinosaurus, Puertasaurus, and Patagotitan are astonishingly small. The difference between a 2.5m femur and a 2.4m one is negligible, ditto for vertebrae with centra 59cm and 60cm in diameter. 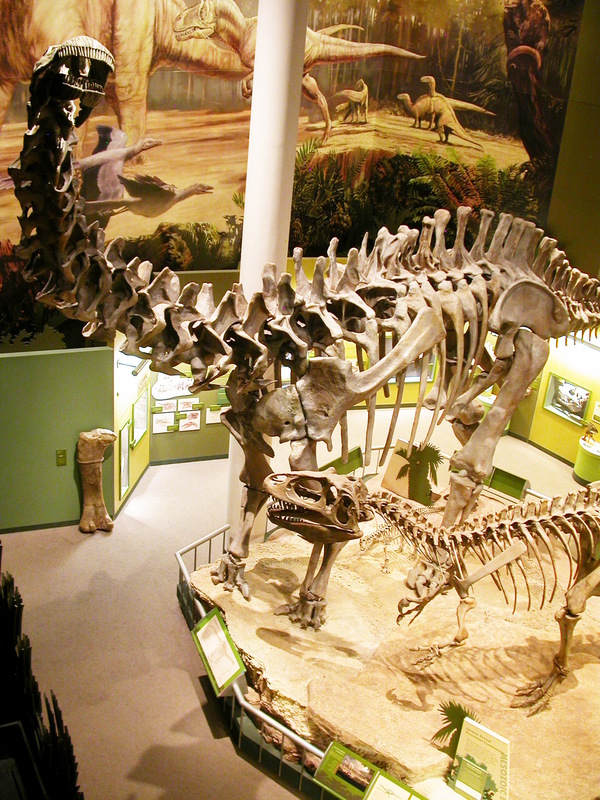 OMNH 1331, the biggest centrum bit from the giant Oklahoma apatosaur, had an intact max diameter of 49cm, making it 26% larger in linear terms than the next-largest apatosaur. The centra of these giant South American titanosaurs are more than 20% bigger yet than OMNH 1331, just in linear terms. That’s crazy. 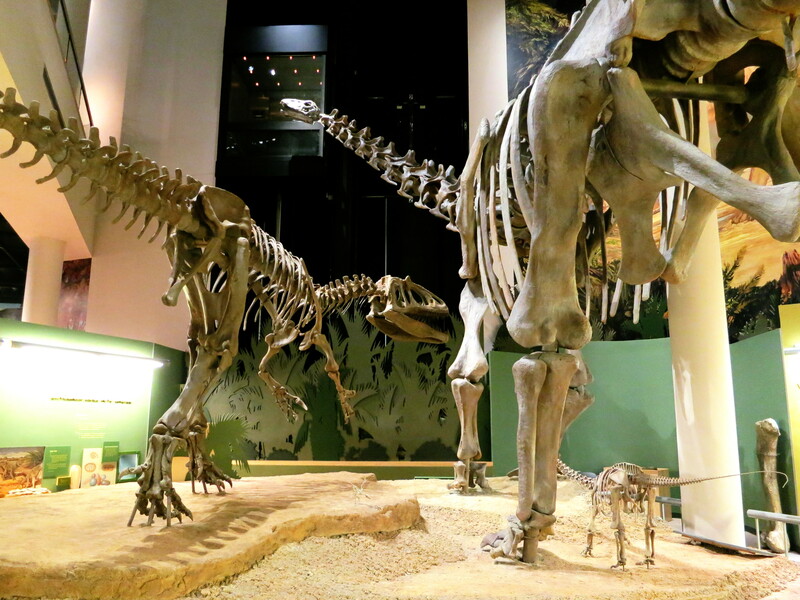 With all that said, the title of “world’s largest dinosaur” is not handed out for effort expended, number of specimens collected, skeletal completeness, ontogenetic speculation, or anything other than “the dinosaur with the largest measured elements”. And that is currently Argentinosaurus. 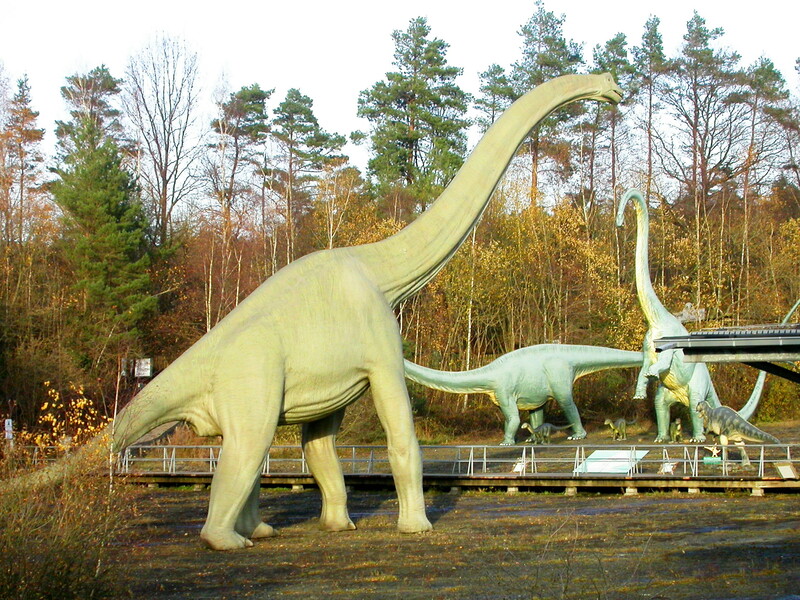 So although for any kind of paleobiological consideration we can currently consider Argentinosaurus, Puertasaurus, and Patagotitan to all be about the same size – and Alamosaurus, Paralititan, Notocolossus, and probably others I’ve forgotten should be in this conversation – anyone wanting to dethrone Argentinosaurus needs to actually show up with bigger elements. So, if you’re interested in paleobiology, it’s fascinating and frankly kind of unnerving that so many of these giant titanosaurs were within a hand-span of each other in terms of size. Patagotitan is one more on the pile – and, as I said yesterday, exciting because it’s so complete. But if you want to know who holds the crown, it’s still Argentinosaurus. Even Paralititan stromeri humerus is apparently larger than Patagotitan humerus (169 cm vs 167.5 cm). I know humerus length alone is bad proxy of body size, but at least this shows that even in that bone Patagotitan is just another big titanosaur among a well known gang of titans, not a supersized one. That made me want to start a list of the longest sauropod humeri. Here goes – if I missed anyone or put down a figure incorrectly, I’m sure you’ll let me know in the comments. Admittedly the Patagotitan humerus is from a paratype and not from the largest individual, but that is true for some others on the list, including Giraffatitan. And we have no humeri from Argentinosaurus, Puertasaurus, and some other giants. A couple of further thoughts on how the dorsal vertebrae of Patagotitan compare to those of Argentinosaurus. First, now that I’ve had some time to think about it, I have a hard time seeing how the dorsal polygon method used by Carballido et al. in the Patagotitan paper has any biological meaning. 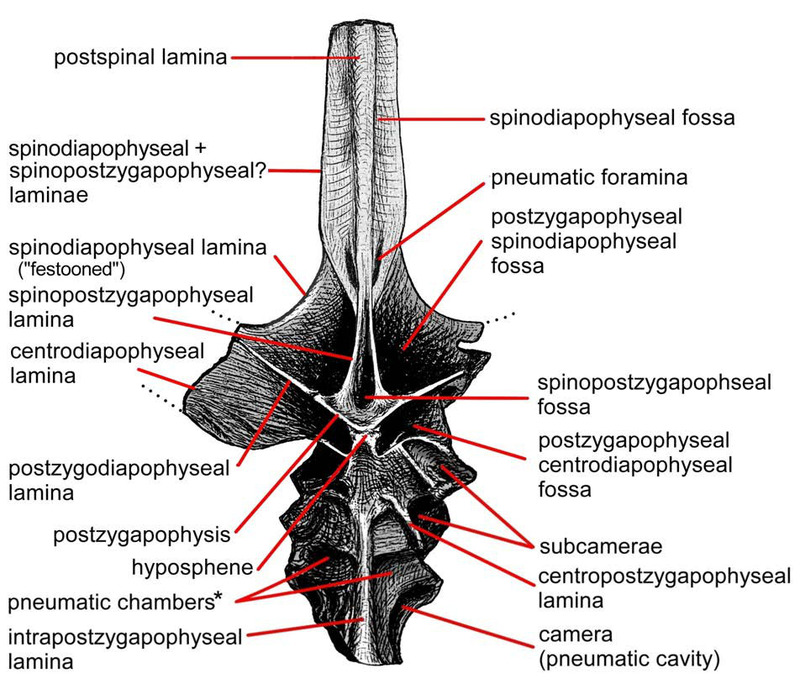 In their example figure, the polygon around the Puertasaurus vertebra is mostly full of bone, and the one around Patagotitan has a lot of empty space. It’s easy to imagine an alternative metric, like “area of the minimum polygon actually filled by bone”, that would lead to a different ‘winner’. But that wouldn’t mean much, either. Something that probably does have a real and important biomechanical meaning is the surface area of the articular face of the centrum, because that’s the area of bone that has to bear the compressive load, which is directly related to the animal’s mass. The biggest Patagotitan centrum is that of MPEF-PV 3400/5, which is at least a local maximum since has smaller centra both ahead and behind. The posterior face measures 59cm wide by 42.5cm tall. Abstracted as an ellipse, which may not be perfectly accurate, those measurements give a surface area of (pi)(29.5)(21.25)=1970 cm^2. For Argentinosaurus, the largest complete centrum has a posterior face measuring 60cm wide by 47cm tall (Bonaparte and Coria 1993: p. 5), giving an elliptical surface area of (pi)(30)(23.5)=2210 cm^2. (I’d use hi-res images of the centra to measure the actual surface areas if I could, but AFAIK those images either don’t exist or at least have not yet been made public, for either taxon.) So although the Argentinosaurus dorsal seems like it is only a bit bigger in linear terms, it’s 12% larger in surface area, and that might actually be a meaningful difference. 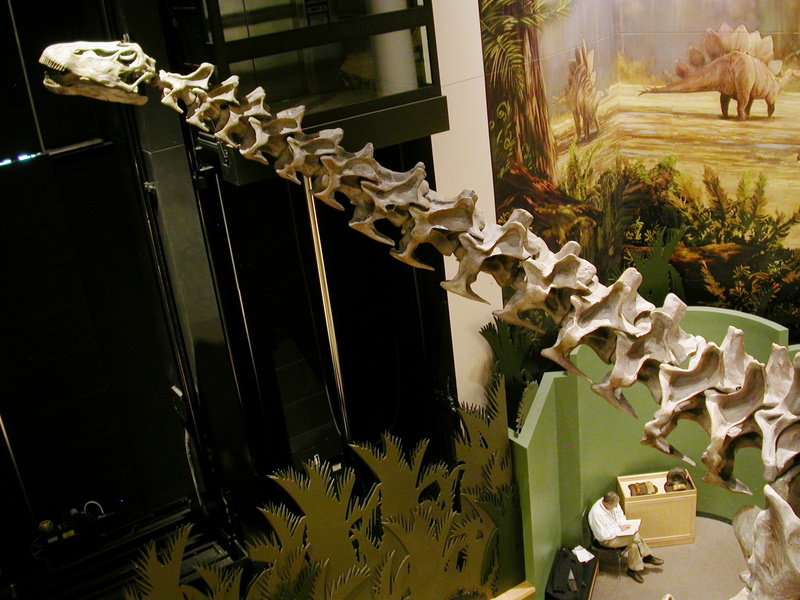 One thing I haven’t commented on yet – Patagotitan is the newest member of the “world’s longest vertebrae” club. 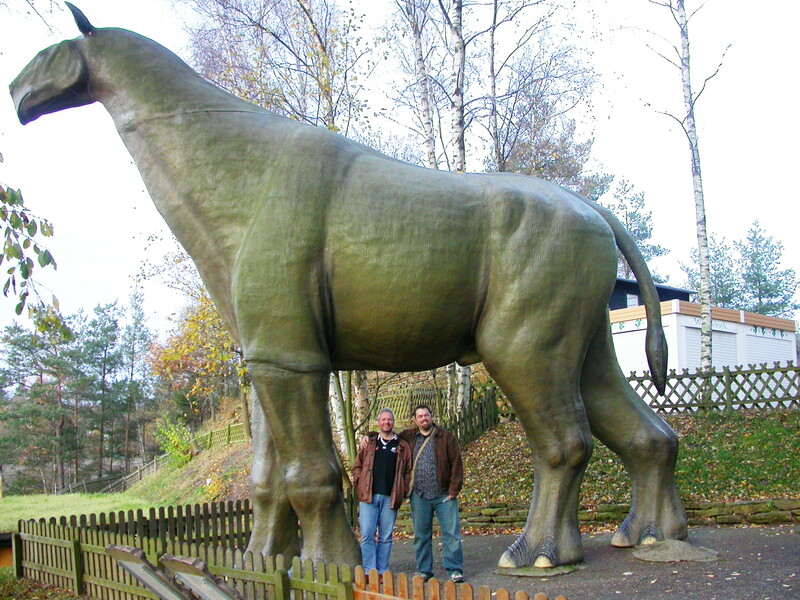 The longest Patagotitan cervical, MPEF-PV 3400/3, is listed in the ESM as having a centrum length of 120cm, but it’s also listed as incomplete. In the skeletal recon in the paper, the centrum is colored in as present, but the neural spine is missing. So is the centrum complete in terms of length? I don’t think it’s clear right now. You may be surprised to see the Price River 2 cervical in there. It was reported in an SVP abstract a few years ago (I’ll dig up that ref and update this post), and Mike and I saw it last year on the Sauropocalypse. We measured the centrum at 129cm, making it just a bit longer than the longest centrum of Sauroposeidon, and therefore the second-longest vertebra of anything ever. Aside – I’m probably getting a reputation as a big ole meanie when it comes to debunking “world’s largest dinosaur” claims. If I’m willing to take the lead in kicking my own dinosaur down the ladder, don’t expect me to be kind to yours. I follow where the numbers lead. Now, here’s an interesting thing – now that Sauroposeidon is coming out as a basal titanosaur, rather than a brachiosaur, it might not have been a skinny freak. The 120cm cervical of Patagotitan makes the 125cm cervical of Sauroposeidon and the 129cm cervical from Price River 2 look even more tantalizing. Maybe it’s super-giant sauropods all the way down. How horrifying was the neck of Barosaurus? “Supersaurus” cervical BYU 9024 really is the C9 of a gigantic Barosaurus. 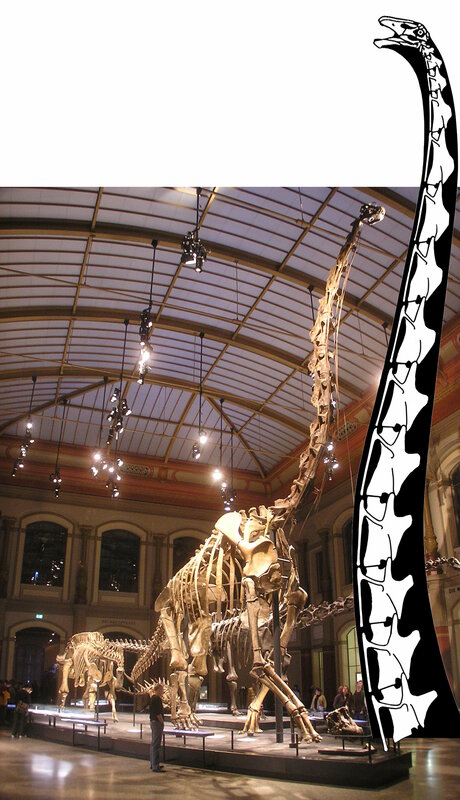 As we noted in our abstract, its total length of 1370 mm is exactly twice that of the C9 in AMNH 6341, which suggests its neck was twice as long over all — not 8.5 m but 17 m.
I realised one good way to picture it is next to the entire mounted skeleton of Giraffatitan at the Museum für Naturkunde Berlin. That skeleton is 13.27 m tall. At 17 m, the giant barosaur neck would be 28% longer than the total height Giraffatitan. Giraffatitan brancai mounted skeleton MB.R.2181 at the Museum für Naturkunde Berlin, with neck of Barosaurus ?lentus BYU 9024 at the same scale. Photo by Axel Mauruszat, from Wikipedia; drawing from Scott Hartman’s Supersaurus skeleton reconstruction. Yes, this looks ridiculous. But it’s what the numbers tell us. Measure the skeleton’s height and the neck length off the image yourself if you don’t believe me.